Marvel Preview: The Black Order #1 – AiPT! FROM THE INFINITY WAR INTO THEIR OWN LIMITED SERIES! 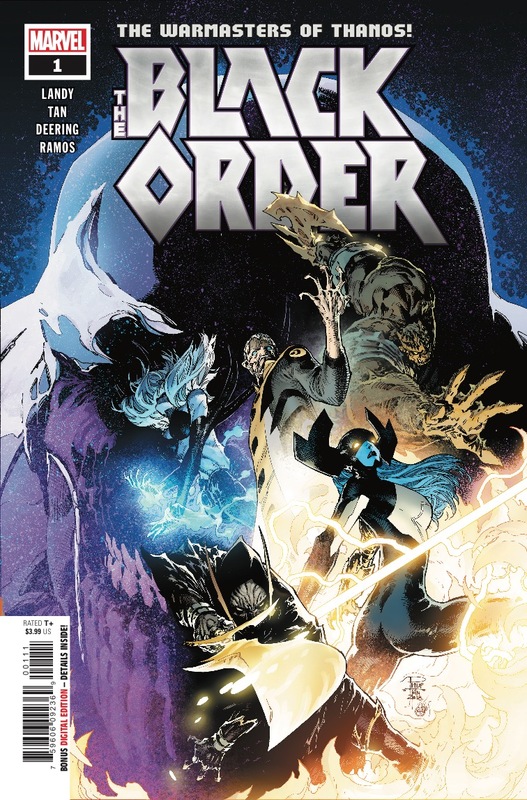 They are the five dreadlords, the Cull Obsidian, Thanos’ most feared warriors and disciples… Ruthless villains to a one, the Black Order has been dispatched by the Grandmaster to destabilize a burgeoning empire, and along the way they come to realize that as big and as bad as they are, there is always someone bigger and badder… The bombastic writing style of novelist Derek Landy (Skulduggery Pleasant) and the electrifying artwork of Philip Tan combine for an absolutely unhinged super-villain adventure!